This book is Jennifer Estep at her most “Jennifer Estep-iest”. An orphan with a rare type of magic does battle with an evil queen to save the kingdom and prevent a war. If that doesn’t sound familiar my question is, where have you been? So yeah. It’s pretty much every Jennifer Estep book but I don’t think that’s a problem. 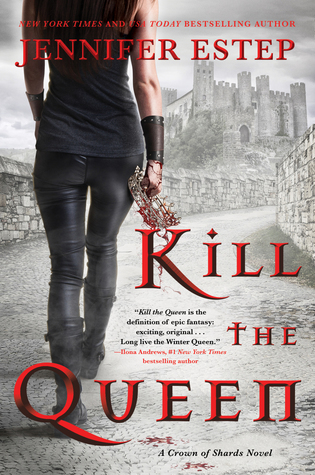 Most of those books were pretty damned entertaining and Kill the Queen is up there with the best of them. 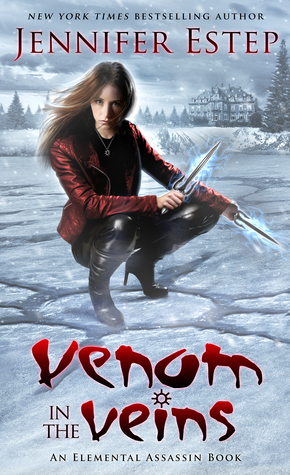 5 Stars because it’s great, minus 1 Star because it really is just like every other Jennifer Estep book. There are dog people and cat people. OK…yes, there are also chicken people, but chicken people are completely bananas! I’m a dog person. I’ve had cats. When I was young I was a cat person. I don’t dislike cats, but I’m a dog person. Nothing quite matches the love a dog will give you. 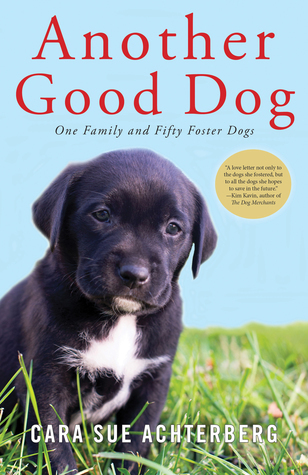 And this is a book for dog people. If you love dogs. If you love animals. Read this book. Bella gives this book 5 Paws! The Spider has a new adversary, she’s more powerful than the last adversary. It’s Book 17. It’s entertaining but nothing new. 17 is a big number for an Urban Fantasy series and I think maybe it’s time to think about a spin-off series. I’ve been saying it for a long time. Sophia is a great character and she could easily carry her own series. Bria and Xavier could carry a series. I’ll keep reading and I’m sure I’ll continue to enjoy the books but it’s more because it’s a habit than anything else. Season one was a runaway success with Summer solving a murder and ensuring a smash hit. Now she returns for Season two and once again she finds herself doing battle with the director who has it in for her. 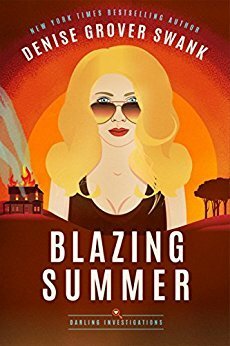 With the help of the same film crew who had her back in book one, Deadly Summer, she needs to make the series a success, solve a new crime and clear her best friend’s name. The Darling Investigations series is surprisingly good. Honestly the premise just doesn’t appeal to me –– I’m not into that whole Hollywood star turns sleuth thing and I find the whole idea of reality TV mind numbing. But I love this book and I love this series. I don’t even know why but there you have it. Many thanks to Montlake Romance and Netgalley who provided me with this review copy. I’m not entirely sure how to review this series. 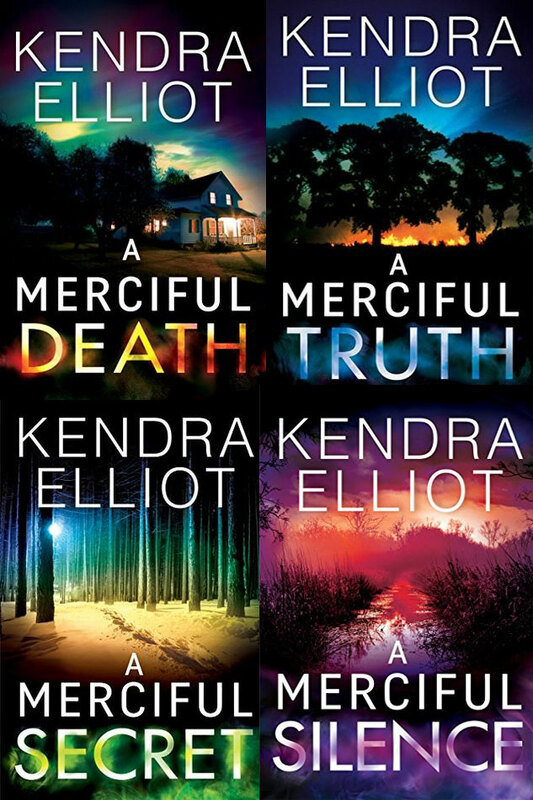 Honestly, I’m supposed to be reviewing Book #4 A Merciful Silence, but while I’m sure you could pick up book four without having read the first three I think the series is better if taken as a whole. Mercy Kilpatrick grew up within a community of preppers. These are the people who are preparing for TEOTWAWKI (the end of the world as we know it). They have a lot of guns, they know how to grow and can food, they are survivors. Some of them are paranoid and honestly unhinged others are just self reliant folks who are good to have around in a pinch. Then as a teenager she was forced to leave. 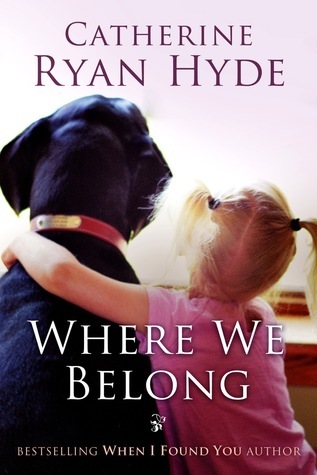 Her family shunned her and she found herself having to make her own way in the world. Now after many years away she is an FBI Agent and has returned to the town she ran away from to investigate a murder. This series is Romantic Suspense at its best. Honestly I often struggle with the genre, I find the level of violence troubling, but while this series does have that –– there is murder and violence –– the underlying story is strong and the characters make it worth the effort. So highly recommended with the one caveat that there are occasional graphic depictions of violence. Even with that I’m rating the series 5 stars. A review copy of A Merciful Silence (book 4) was given to me by the publisher. Wren and Death return for another fun mystery. 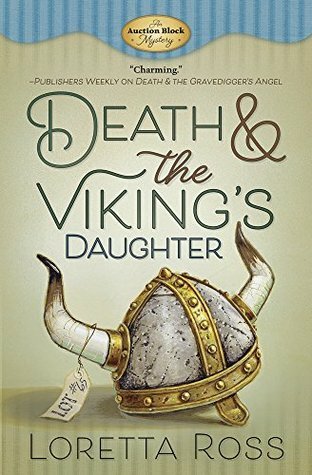 Death is investigating the counterfeiting of a minor work of art while Wren pokes her nose into the disappearance of a young woman at a renaissance fair more than 40 years earlier. Adding to their problems, having heard about Wren’s engagement to Death, her parents descended upon them and they’re anything but impressed with him. The Auction Block mysteries aren’t all that surprising. Honestly they’re not particularly original. What they have going for them is great characters and that’s what makes these books just a little better than the competition. I don’t often get to book four in a Cozy series. Honestly, I can only think of one other series that still interested me after four books (Southern Ghost Hunters by Angie Fox) but I’m still feeling the love for this series. Many thanks to Midnight Ink and Netgalley for providing me with this review copy.